Looking for the PRIME VIEW?! 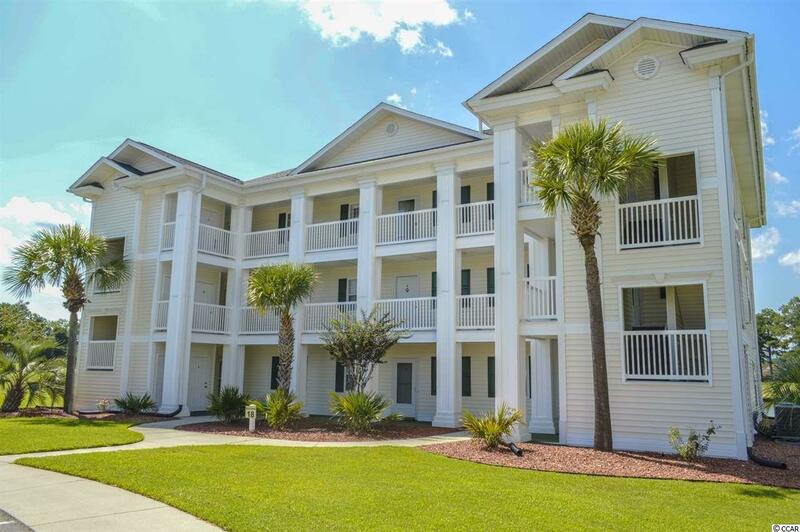 This 2 bedroom 2 bathroom furnished end unit in Buck Creek Golf Villas features unbeatable views of the golf course & lake. NEW outside HVAC unit. Conveniently located in the popular Aberdeen subdivision - close to major highway access, shopping, dining, & a few miles from Little River. 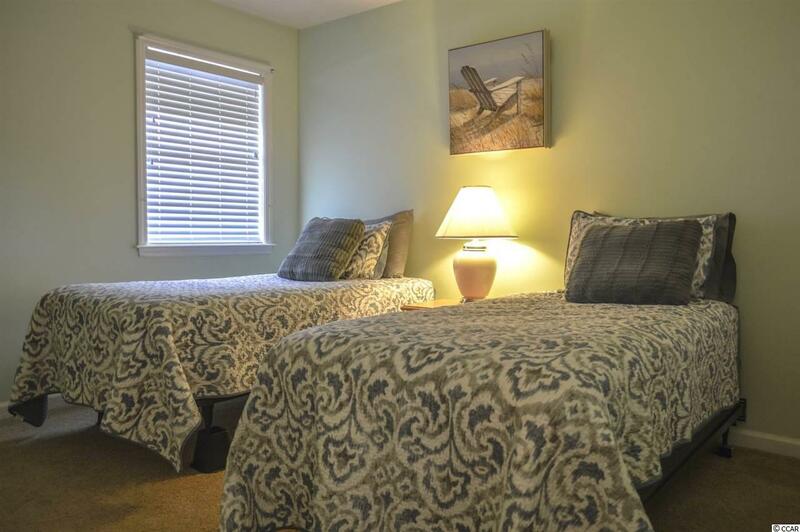 Unit is located on the 2nd floor in building 18, just around the corner from the community pool/clubhouse. Outside storage closet is across from the front door and features plenty of space for golf clubs/pool & beach items/etc. Entering the unit, you come into a ceramic tile foyer with a coat closet on the right and the first bedroom on the left. 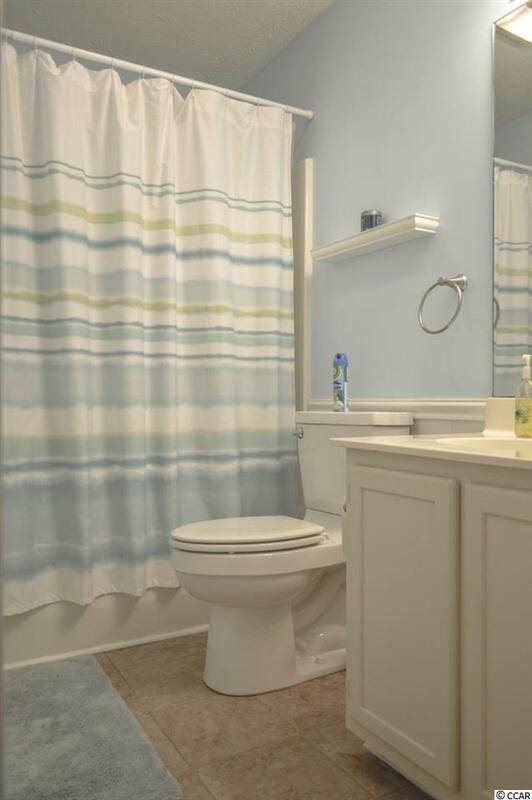 Just past the bedroom is the 1st bathroom which is equipped with ceramic tile flooring, single bowl sink vanity, & tub with removable handheld shower nozzle. Spacious kitchen overlooks the main living area and comes with a full set of appliances, recessed lighting, upgraded touch sink faucet, breakfast bar, pantry space & two additional utility closets with full size washer/dryer & overhead storage space. Living room gets lots of natural light from side windows & sliding door - did I mention the amazing views of the golf course & lake? Living room also features an overhead ceiling fan, small bar nook, & dining area. Master bedroom is off the living room and has a large window with the same incredible views, overhead ceiling fan, & bathroom en-suite with single bowl vanity & tub with removable handheld shower nozzle. Saving the best for last - this unit also comes with a large screened porch with panoramic views of the golf course and lake. Enjoy morning coffee or afternoon lunch - this space is perfect on warm summer days! 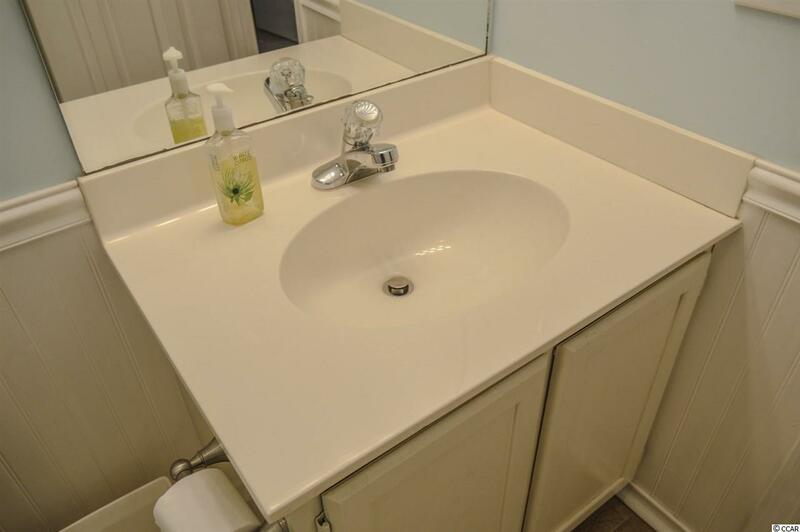 This condo must be seen to be appreciated and has been well maintained by current owners. Priced to sell and will not last long. Don't miss your chance before it's too late!